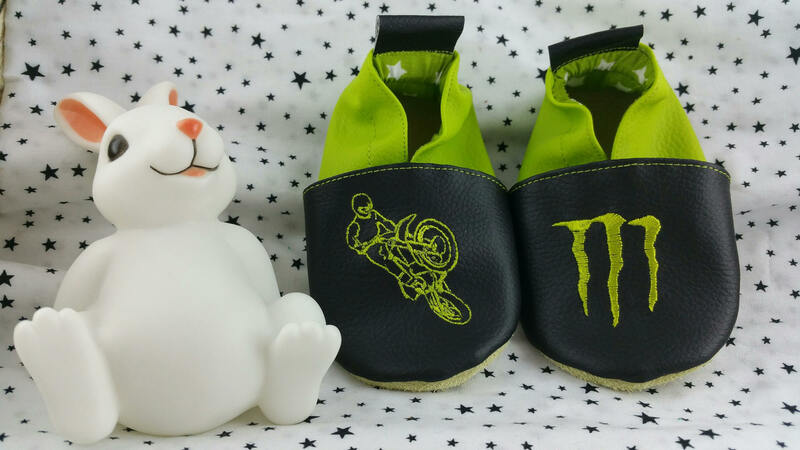 Soft slippers made of leatherette for the front part and the rear part. The sole of the slippers is made of soft leather. 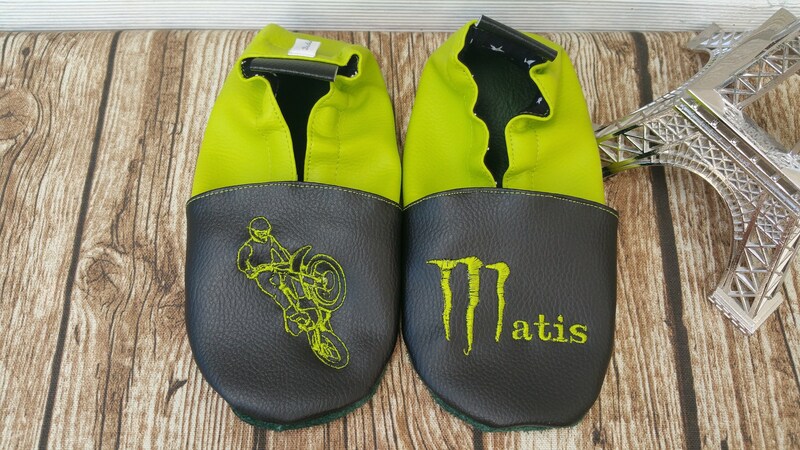 The slippers presented here is made of black imitation leather on the front and green anise on the back with green embroidery representing a motocross bike on one foot and the monster M on the other.